Prior to blowing the Shofar one recites the following blessing while standing: “ברוך ….אקב“ו לשמוע קול שופר“ [“Baruch… Leshmoa Kol Shofar”]. If one mistakenly recited “Letkoa Beshofar” or “Al Tekias Shofar” he has nevertheless fulfilled his obligation. After reciting the blessing of “Lishmoa Kol Shofar” one is to recite the blessing of Shehechiyanu [“בא“ה אמ“ה שהחיינו וקימנו והגיענו לזמן הזה]. 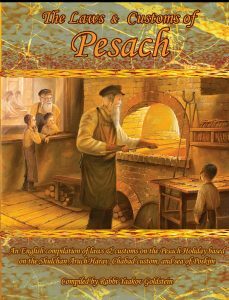 The blessing of Shehechiyanu is recited on both the first and second day of Rosh Hashanah. After reciting these two blessings [of Leshmoa and Shehechiyanu] the blower is to blow “תשר“ת תש“ת תר“ת” three times each set. Wearing a new garment on the second day: By the Shofar blowing of the second day the Baal Tokeia should initially wear a new garment and have it on him while reciting the blessing of Shehechiyanu, intending to exempt it with the blessing of Shehechiyanu. [Upon saying Shehechiyanu one is not to intend only on the new garment and is to mainly intend that the Shehechiyanu is being said over the Mitzvah of Shofar.] When the first day of Rosh Hashanah falls on Shabbos, in which case the Shofar was not blown on the first day, there is no need to wear a new garment during the blows of the second day. If one does not have a new garment available, he is nevertheless to say the blessing of Shehechiyanu over Shofar on the second day. Does it suffice if one of the listeners has a new garment? No. It only helps if the Baal Tokeia is wearing a new garment. 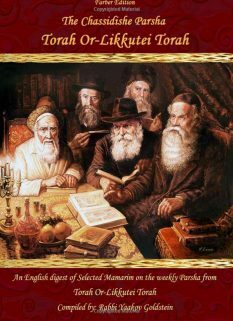 If a Sefaradi is Davening by an Ashkenazi Minyan on the second day may he answer Amen after Shehechiyanu? Some write that he should not answer Amen although if he did so it does not constitute an interval. If on the second day one is blowing Shofar and reciting the blessings for a man of Sefaradic origin is he to say the blessing of Shehechiyanu? If on the 2nd day of R”H a man of Sefaradic origin is blowing Shofar for a man of Ashkenazi origin is he to say the blessing of Shehechiyanu? No. The listener is to say the blessing. The blessing is recited in a standing position. See above Halacha 5 for further details on this subject! Not to answer Baruch Hu Uvaruch Shemo: The listeners are not to say Baruch Hu Uvarach Shemo upon hearing Hashem’s name said in the blessing. In the event one said Baruch Hu Uvaruch Shemo it is possible that one has not fulfilled his obligation of the blessing. For this reason it is imperative to warn the public of this matter, as many are unaware of this. Answering Amen: The congregation answers Amen after each of the two blessings that are recited. However some say that those which follow the Sefaradic custom are not to answer Amen after the blessing of Shehechiyanu which is said by the second day. See Q&A above! If one listened to the blessing but did not answer Amen he nevertheless fulfills his obligation. May a listener say the blessing instead of the Baal Tokeia? If the Baal Tokeia already fulfilled his obligation: See F! 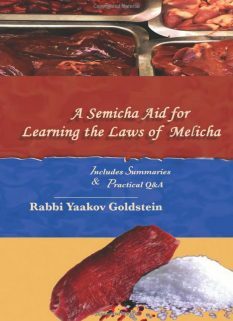 If the Baal Tokeia is currently fulfilling his obligation: Some Poskim rule that it is permitted for a listener to be delegated the merit of saying the blessing so long as he plans to fulfill the Mitzvah with this blow. Others however rule that initially the person who is blowing is always to say the blessing if he is currently also fulfilling his obligation. What is one to do if he is unable to hear the blessing properly and missed a few words? He is to recite the blessings to himself making sure to conclude the blessing prior to the start of the blows. If one arrived to Shul after the blessing over Shofar had been recited, may he or she say the blessing on their own? If one is able to say the blessing prior to the first blow then he should do so. If one is unable to then he [or she] should say the blessing in-between the sets of Tekios. See next Q&A! If one missed the blessing and heard some of the sounds may a blessing still be recited over the remaining sounds? Did not yet hear 30 blows: If one did not yet hear 30 sounds then a blessing may be recited over the remaining sounds according to all. Thus if one walked into Shul in middle and he missed even one blow, he can say the blessing prior to hearing the single blow that he missed. One already heard 30 blows [all Tekios Meyushav] may a blessing be said over Tekios Meumad: If one already heard 30 blows some Poskim rule one may still recite a blessing over the Musaf blows. Others however rule he can no longer recite a blessing and is rather to think it in his mind. What is one to do if he arrived to Shul before Musaf? He is to say a blessing to himself prior to the blows of Musaf. If in this congregation the custom is to blow during the silent Musaf prayer then he should explicitly have in mind not to fulfill his obligation with these blows and delay the blessing until the blows in the Chazan’s repetition. Talking between blows: See Chapter 3 Halacha 9! Talking between Tekios and Musaf: See Chapter 4 Halacha 3! 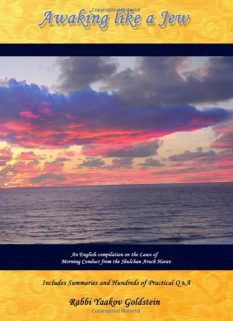 Talking during a blow: See Chapter 2 Halacha 11! What is the law if one spoke during the first Tekiah after the blessing? If he spoke during the first Tekiah of irrelevant maters then he must repeat the blessing. If however he already heard the first Tekiah then the blessing does not need to be repeated. May one practice the Segula of Vayehi Noam prior to the first blow? If one is not successful in blowing the Shofar properly [and he is a good blower and the Shofar is a good Shofar] it is a Segula to turn the Shofar around and whisper into it the paragraph of Vayehi Noam. [see Chapter 3 Halacha 5 for the full details of this subject]. Nevertheless if one is not successful in sounding even the first blow then he may not recite the above Segula, as doing so would be an interval between the blessing and the blowing, and would require a new blessing to be recited. If however there is no other Shofar available in the area and hence bringing a new Shofar would anyways require the recital of a new blessing then the Segula may be recited and a new blessing is to follow. If after the blessings one switched the Shofar for a different Shofar must the blessing be repeated? The new Shofar was already on the Bimah: If the Baal Tokeia had the new Shofar in mind at the time of the blessing then a new blessing is never repeated. It is for this reason that it is accustomed to set up many Shofros at the time of the blessing, and have them all in mind during the blessing, just in case he needs to switch Shofros during the blows. The new Shofar was not present during the blessing: If the Baal Tokeia did not have the new Shofar in mind prior to the blessing then if the Shofar is being switched prior to the first blow the blessing must be repeated. However some Poskim rule that even in such a case the blessing is not to be repeated. If the new Shofar is being brought only after the first blow then according to all a blessing is not repeated. What is the law if one realized in middle of one of the blows that the Shofar is invalid, must the blessing be repeated? A person is able to fulfill his obligation of Shofar through hearing the blows from another person even if he knows how to blow Shofar himself and even if there isn’t a Minyan present. Saying the blessing when blowing for only Women: If one already fulfilled his obligation of hearing Shofar, or plans to do so with a later blowing, then if he is blowing for only women, [if the women follow the Ashkenazi custom], she is to say the blessings herself. If she cannot say the blessing herself one may not say the blessings for her and one is hence to blow without a blessing. [If she follows the Sefaradi custom she is not to say the blessing at all even if she knows the blessing.] See Halacha 1B for further details on this topic! Having intent to fulfill the Mitzvah: It is important to remind those hearing Shofar to have in mind while hearing it, that they are fulfilling the Mitzvah of Shofar, as Mitzvahs require intent. See Halacha 3! What is the definition of not knowing how to recite the blessings? Seemingly this means the person has difficulty verbalizing the Hebrew words, or does not know the dialect of the blessing. There is no obligation for the blower to have the listener repeat the blessing after him. Yes. However in such a case the child is to say the blessing and not the Baal Tokeia. When blowing Shofar for others who know to say the blessing should each one say the blessing themselves or should one say it on behalf of them all? When blowing Shofar in various areas should one fulfill his obligation with the first blowing or the later blowing? Some Poskim rule it is best to fulfill one’s obligation in the first area that he is blowing Shofar. Others rule he is to full his obligation in the last area. Admur does not differentiate in this matter and leaves the choice in the hands of the Baal Tokeia. No. See B in Q&A! If on the second day a Sefaradi is blowing Shofar and reciting the blessings for a man of Ashkenazi origin is he to say the blessing of Shehechiyanu? The law if one recited “Leshmoa Bekol Shofar”: Regarding if one mistakenly recited “Bekol Shofar” Admur [and the M”A ibid] does not rule whether he fulfills his obligation. However the Elya Raba 585/4 rules that one fulfills his obligation even if he said Bekol Shofar. [Peri Megadim 585 A”A 2] So rules also Chayeh Adam ibid; M”E ibid; M”B ibid; Kaf Hachaim 585/17. 600/7; Rama 600/3; See the section on Rosh Hashanah Chapter 2 Halacha 24 for the full details of this subject. Other Opinions: Some rule one is not required to search for a new garment and Shehechiyanu may be recited even initially. [See M”B 600/7; Kaf Hachaim ibid that according to Rama and others one does not need a new clothing for Shofar; See Shaareiy Tziyon 600/5; Minchas Shlomo 20; Birkeiy Yosef 600/2; Maaseh Rav 203; Shaar Hakavanos p. 90; Mishnes Chassidim; brought in Piskeiy Hassidur 178; Kaf Hachaim 600/7 [regarding Kiddush]. Other opinions: Some Poskim rule that even if one spoke of matters relating to the prayer he is not required to repeat the blessing. [Elya Raba 592/5 as implied from Mordechai and Aguda] Practically the Poskim ibid negate his opinion. The Rama [585/2] rules that the blower is to recite both blessings whether he is blowing for himself, to fulfill his personal obligation, or whether he is blowing for others. The M”A [585/3] brings the Terumas Hadeshen  which rules that it is always better for the listener to recite the blessing, although he concludes that the custom is that the blower recites it. Regarding Shehechiyanu the Terumas Hadeshen does not discuss who is to recite it. The Rambam, Mateh Moshe, Mahriv and Hagahos Maimanis rule that the listener is to recite it while the Beis Yosef writes that the custom is for the blower to recite it. It is based on these two customs written in the Terumas Hadeshen and Beis Yosef that the Rama here writes that the blower is to recite both blessings. Nevertheless the M”A ibid concludes that this custom only applies if the listener does not know how to recite the blessing however if the listener knows how to recite it, then he is to do so and he then fulfills his obligation according to all. The ruling of Admur here follows the ruling of the M”A ibid. Ruling of the M”B: The M”B 585/5 rules that the custom is to be lenient and one is not to protest their opinion as so is the main opinion. The Kaf Hachaim 585/21 questions this ruling of the M”B as majority of Poskim ibid rule that it is to initially be said by the listener. However see Minchas Yitzchak ibid that explains the M”B did not mean to say that most Poskim initially rule this way. 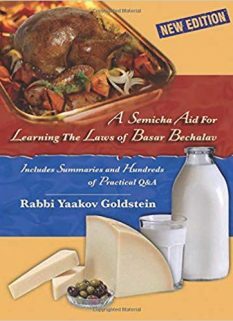 See 273/6; Thus if one is blowing for other Jews prior to Shacharis and he plans to fulfill the Mitzvah during Davening, the listeners are to recite the blessings if they have knowledge in how to do so. Michaber 589/6- as is the ruling of the Beis Yosef in all Mitzvos that women are not obligated in. Other Opinions-Sefaradim: Some Sefaradi Poskim rule that women may recite a blessing over any Mitzvah that they are not obligated in. [Birkeiy Yosef 654/2; Yosef Ometz 82; See Kaf Hachaim 589/23] The Birkeiy Yosef ibid states that after seeing the answer from heaven in Shut Min hashamayim he retracted his ruling like the Michaber and would tell women to recite a blessing. He concludes that if the Michaber would have seen the Shut Min hashamayim certainly he would have retracted his ruling. So is implied from M”A 585/3; See Background. Pashut as otherwise all the above Poskim would have simply stated for this to be done. 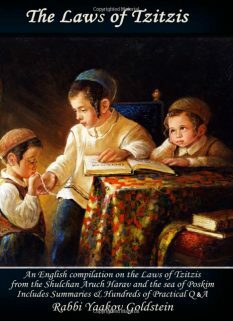 If the child knows how to say the blessing then this follows the same ruling as any time one is blowing for another in which case the person fulfilling the Mitzvah is to say the blessing, as explained above. M”E ibid; See however Kaf Hachaim ibid that questions why one person can’t be Motzi others with less than ten. He thus states that with less than ten one can choose either method, that one says on behalf of all or that each one says it to themselves. The reason: In order to suspect for those opinions in Rishonim [Bahag and Geonim] that if one already fulfilled his obligation he cannot blow for others.